Hazel I. Allen, 85 years of Lynchburg, passed away peacefully, with her family by her side, on Monday October 15, 2018. She was born in Peebles on July 13, 1933, the daughter of the late Roy and Rose (Secrist) Powell. Besides her parents, she was also preceded by her husband, Roy Allen on February 21, 2012, one great grandchild, Makenna Roush, two brothers, Wilbur and Floyd Powell and four sisters, Mary Helen Wisecup, Mildred Gossard, Irene Powell and Edith Weissling. 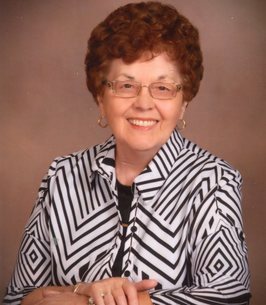 Hazel taught Sunday school at the Danville Church of Christ for 25 years and attended the Hillsboro Church of Christ. Hazel is survived by her son, Steve (Linda) Allen of Lynchburg, two daughters, Susie (Larry) Burns of Hillsboro and Sandy (Joe) Arrasmith of Sabina, seven grandchildren, Stephanie (Eric) Roush, Tiffany (Joe) Gobin, Brittany (Dan) Wierwille, Tyler (Ashley) Burns, Cody (Saundra) Burns, Denim Arrasmith and Hayden Arrasmith, 13 great grandchildren, brother-in-law, Raymond Allen of Greenfield and sister-in-law, Mildred High of Blanchester. Funeral Services will be 2:00 PM Saturday October 20, 2018 at the Hillsboro Church of Christ. Burial will follow at the Lynchburg Masonic Cemetery. Friends may come to visit from 5:00 PM to 8:00 PM Friday October 19, 2018 at the church. Donations can be made to the Southern Ohio Pregnancy Center. To send flowers to the family of Hazel I. Allen, please visit our Heartfelt Sympathies Store. I was saddened to hear of Hazel's passing! She was such a delightful lady to know and I enjoyed her company on many occasions. My sympathy is sent to her entire family. She will be greatly missed by all who knew her! May God comfort all of you in your loss.